Grespania will once again be exhibiting at Architect @ Work. This year's event will be hosted in Milan, the cradle of design, on 14th and 15th November. Architect @ work is an event where architecture professionals seeking innovative products for their projects can come together with companies offering potential technological solutions to meet their needs. As such, Grespania will be an exhibitor at this special event, at Stand 80, presenting its Coverlam Onice series. With its attractive greenish hue and the quality of its polish, Onice helps create spaces full of light and sophistication. 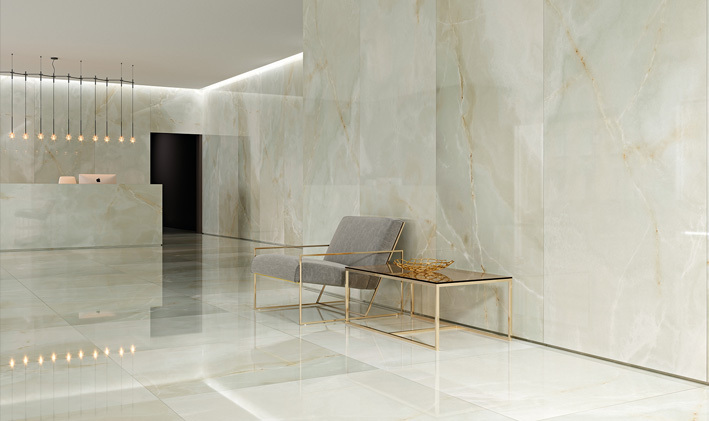 The series is 5.6 mm thick, and is available in 1200x3600 mm, 1200x2600 mm, 1200x1200 mm and 600x1200 mm formats, and in two colours: Honey and White. 32 sql / 6 sqlseo / 0.05329800s.